Dr. Michael R Linford was the first to commercialize heat in the structural pest control industry in 1988. Since then, he and his team have advanced heat technology to include eradication of all types of insect pests — including bed bugs, cockroaches, stink bugs, fleas, dust mites, and carpet beetles. Other expansions have included environmental remediation and the elimination of allergens, odors, bacteria, and viri. The technology is efficacious for stored food pests and has zero lingering impact on food quality. Termite heat treatments will kill all termites without requiring an extensive move-out period. Unlike chemicals, heat kills eggs and all stages of insect development, with no potential side effects to your customers. Heat is the solution to pest control in many markets, making one-day, single treatments a reality. 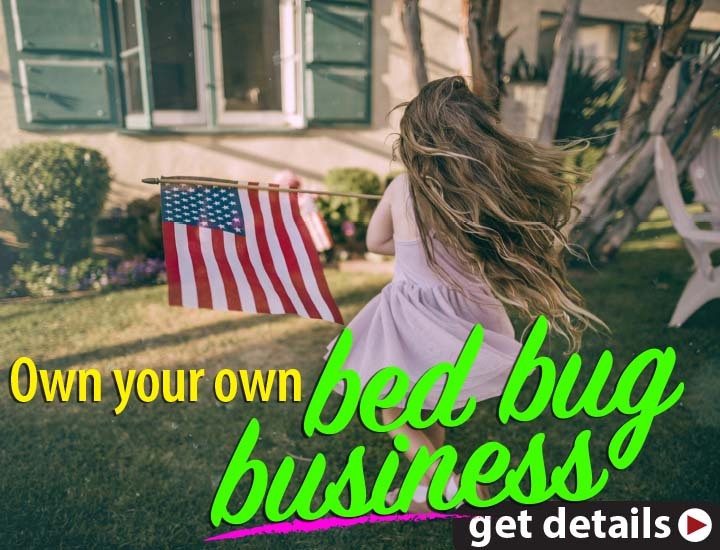 Local, regional, and nationally-recognized pest control companies concur that GreenTech Heat equipment and training make the difference when treating for bed bugs. 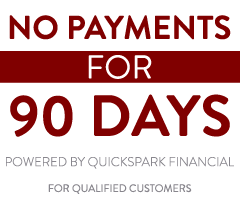 Visit our testimonials page for more comments about our training and technology. 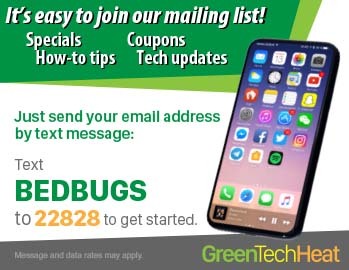 GreenTech Heat has released a new revised edition of the Bed Bug and Other Pests Heat Treatment Field Guide. This comprehensive, 200-page manual provides in-depth insights to the leading heat-treatment technology for treatments with both electric and propane heaters. The Bed Bug and Other Pests Heat Treatment Field Guide is the definitive source for killing bed bugs and other insects with convected heat. The Guide is available immediately with Titan propane packages and may be purchased separately through the GreenTech Heat online store. 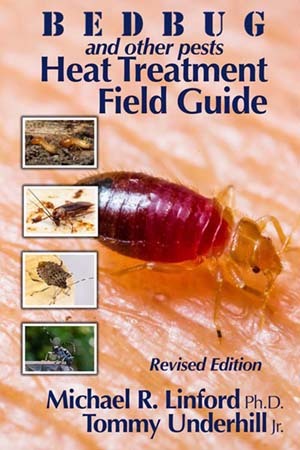 The Bed Bug Heat Treatment Field Guide is one of the most comprehensive training tools that we have seen. The entomology section is a great tool for visual learners. We are incorporating the guide into our Branch 2 Training syllabus. As mentioned, we feel as though the depth of the training and the training aids warrants 2-3 CEUs (Continuing Education Units) for tech training. We would love to take you on a “ride along” and show you what we do. Click here to order the Bed Bug and Other Pests Heat Treatment Field Guide. GreenTech Heat has released their long-awaited Termite and Other WDO Heat Treatment Field Guide. This comprehensive, 300-page manual provides in-depth insights to the leading heat-treatment technology for treatments targeting wood-destroying organisms with propane heaters. The Termite and Other WDO Heat Treatment Field Guide is the definitive source for killing termites and other wood-destroying organisms with convected heat. The Guide is available immediately through the GreenTech Heat online store. 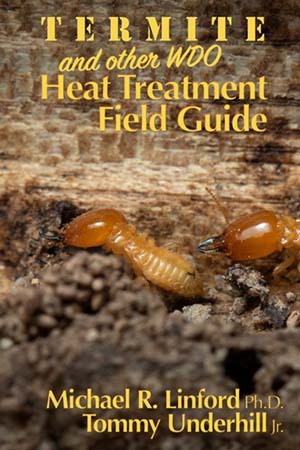 Click here to order the Termite and Other WDO Heat Treatment Field Guide. Getting started with heat is easy! 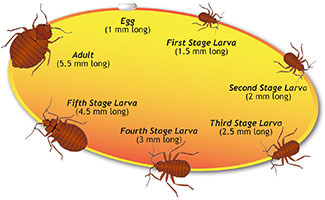 The bed bug life cycle encompasses five nymph stages, eggs, and finally adult. After hatching, bedbug nymphs molt following every blood meal. 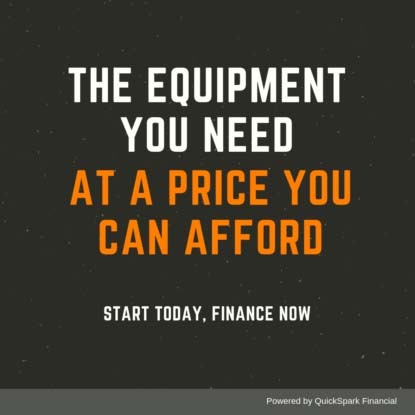 Your competitor’s propane heater is a little bit cheaper but not as powerful. We’ve sent it back to them for a bad burner ring, which cost us over $2 grand of damage to a home. It’s been a constant thorn in our side. It just sits in the shop now. Nothing but GreenTech going forward. We love our Titans and ePros. U guys are awesome!